Justice is Best Served Dead is my fifth novel published on the 24th February 2014. It has been on the drawing board for a long time but was on hold whilst the trilogy was written. John Pointer, Kent Constabulary’s senior crime scene forensic analyst, aged 45, he’s an attractive, unattached, shy, but confident expert; when he attends a murder scene at the home of arrogant super-cop Simon Yantis, he’s unaware that Sally, the pretty 21 year old dead girl, is the daughter of Lucy Davenport, his only true love from his university days 24 years earlier. He discovers the truth at the subsequent trial, where Yantis puts forward an accident self-defence story and discredits John’s evidence; a killer-cop returns to the streets; John Pointer is devastated, blaming himself for the acquittal; even his close friend and colleague, Inspector Sean Daley cannot reverse his deep depression. A year on Lucy, having dedicated her life to getting justice for daughter, comes across crucial evidence that would initiate a re-trial for Sally’s murder; however, it would require disclosure of images that Sally had tried desperately to prevent being seen by anyone, and that was why she was killed. Lucy contrives a plan and warns Yantis that she’s found the evidence to re-try him; a day later she is killed. Would the cop who killed Sally then go on to kill Lucy and get away with it? How would John cope? 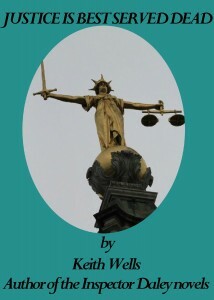 Can Inspector Daley find the words to help his friend and get justice for Sally? Daley is presented with the most complex moral dilemma of his career.